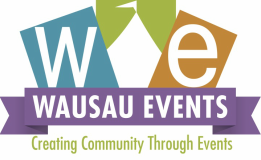 The official site of the Wausau Balloon Rally! Voted Wausau’s Favorite Event five years running, the Balloon & Rib Fest has something for everyone. Don’t believe us? We’ve got: Hot air balloons, Rib Vendors, kites, animals, bounce houses, fantastic food, and the LARGEST fireworks show in the region - NOW 3 NIGHTS! REMINDER: LAYOUT OF EVENT HAS CHANGED! FREE shuttle (Route Map) offered by Metro Ride that runs all the way from Downtown Wausau's 400 Block where Chalkfest & Sidewalk Sales will be taking place to Balloon & Rib Fest at the Wausau Downtown Airport! There are several parking lots and ramps available in Downtown Wausau that are just a short walk to the 400 Block! (Downtown Parking Map). As a safety precaution, no parking will be allowed on either side of Lake View Drive throughout the event, as well as one side of both Kent and Marshall Street (not pictured on the map - there will be signs designating these areas as 'No Parking'). These measures are put into place to increase safety of pedestrians and also to alleviate the congestion that makes it difficult for emergency vehicles to access the event. Balloons inflate and light themselves from within. The sight of hot air balloons lit up like giant light bulbs is breathtaking. Pilots will coordinate ‘all burns’ where they fire up their burners illuminating their balloons all at once and also perform ‘count downs’. There are no hot air balloon rides at this event. There are kids games, the Balloon Chase 5K, a petting zoo, live music, beer garden, 3 night of fireworks, Yoga and more! Click below for the complete schedule of events! There are 7 rib vendors that come to Rib Fest, which takes place at the airport as well. The prices will vary. There is a contest for best ribs, so be sure to try more than 1 vendors’ ribs and vote using the text messaging service! There are other food vendors at the festival if you do not want ribs! Prices vary. ​Please NO FOOD OR DRINKS ARE ALLOWED TO BE BROUGHT IN! This event was founded by Steve Woller & Handcrafted Furniture Balloon Rides. Take a look at the 2017 YouTube Video!